I want to relate an experience we had at one of our workshops awhile back. This was with a diabetic. Diabetes, as you probably know, is now pandemic worldwide and is the subject of much research. According to conventional medicine, diabetes has no known cure and there is no medical approach that offers any hope for reversal. It is considered an incurable disease and once a diagnosis is given, it amounts to an early death sentence. Anyway, at the workshop a course participant who was diabetic checked her blood sugar after lunch and found a reading of 900 which is dangerously high. She was trying to decide whether to stay at the workshop or head straight for the nearest emergency room. She decided to stay to see if Quantum-Touch would help her since she was next up to receive Quantum-Touch at the practice session. If not, she was ready to head for the emergency room. During the practice session she was being worked on by one of the other participants and we suggested that she try the endocrine tune-up as well as work across the pancreas and liver. She also chose to use the toning method during part of the session. The bottom line is that after the Quantum-Touch session, she felt much better, and her blood sugar stabilized to a normal reading of 90 within a couple of hours (when she checked it again). She was flabbergasted. She had never experienced such a dramatic drop in blood sugar. 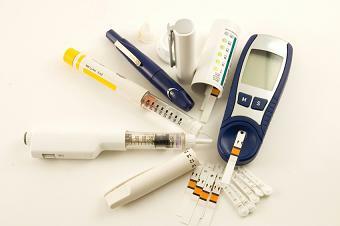 Many insulin-dependent diabetics are aware that their body can't process insulin properly even if insulin is present. Somehow Quantum-Touch was able to reset her physiology back to normal within just a couple of hours or less. When she returned home after the workshop, her daughter, who took the workshop with her, continued to work on her mom twice a week. Within 2 months she was able to eliminate insulin usage completely. Oral medications continued for awhile, but over time they were completely eliminated as well. She ate a sensible diet free of processed foods, but took no other dramatic steps in her dietary regimen. She cut back on stressors in her life by learning to say "No" more often, to bring her life more into balance. In the end, she attributes Quantum-Touch and lowering stress levels to her reversal of diabetes. She is now on no medications at all and considers herself free from diabetes. The impact of Quantum-Touch on diabetes will be the focus of some upcoming research, but if you have stories to share, I'm sure all those who are pre-diabetic or those who have diabetes would like to hear from you.